When we talk about the Android, who else doesn’t know about Samsung. The biggest smartphone Brand is known in the modern days. As smartphone lovers always wait for the new model going to be launched by Samsung. A Samsung phone is always preferred in style, looks, and reliability when one talks about android. And that’s the reason, Samsung is most popular Brand. Well, there is no need to say anything else about Samsung. Personally, I’m also a fan of Samsung. Since one of the most popular Android phone series in Samsung is the Galaxy Note series. The last model of this series was Samsung Galaxy Note 8 which was launched last year in August. This model was appreciated in the market. Especially big screen lovers just loved the 6.32″ display of Samsung Galaxy Note 8. After the success of Note 8, now Samsung has decided to move further in Note series. Regarding this, Samsung has announced Samsung Galaxy Note 9 smartphones. Better in style, improved in reliability and Attractive product for Samsung lovers. 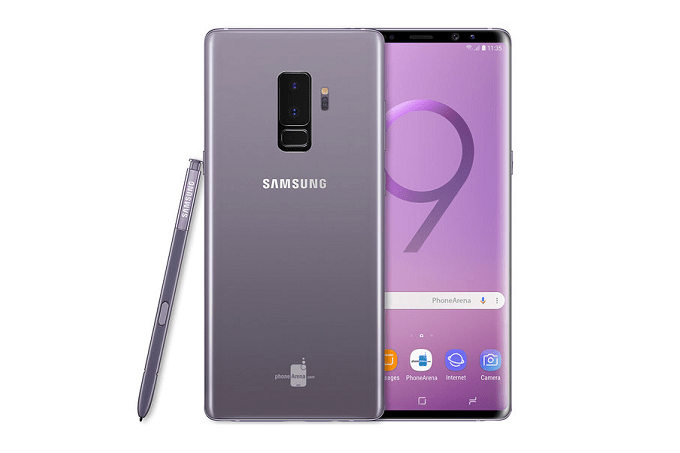 The new Samsung Galaxy Note 9 is a great attraction for the smartphone users’ who love big screen phones. Previous Note 8 Had a display size of 6.32″. But the new Note 9 is going to be even bigger. This time Note 9 will come with a screen size of 6.38 inches. This new Note 9 will definitely make its place in Samsung lovers’ hearts. Because of its next-generation technology. Yeah! samsung note 9 will have an Under the Screen Fingerprint scanner. Also, the face unlocks system in the phone is improved. 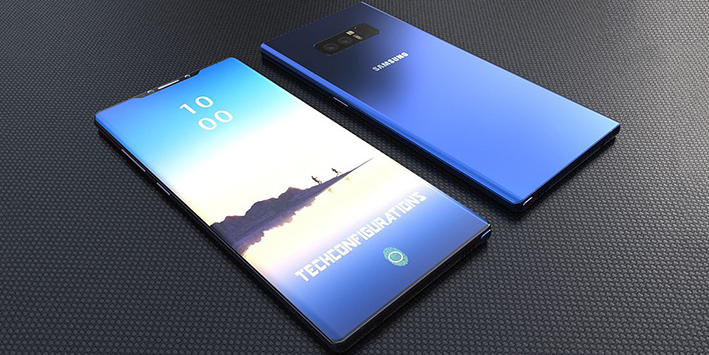 Processor: Note 9 will come up with an Octa-core (4 x 2.7 GHz Mongoose M3 + 4 x 1.8 GHz Cortex-A55) CPU and Exynos 9810 Octa Chipset. Display: Super AMOLED Capacitive Touchscreen, 16M Colors, Multitouch Display with a Size of 6.38 Inches. Having Resolution 1440 x 2960 Pixels (~514 PPI) Protected with Corning Gorilla Glass 5 with Extra Features of; HDR10 compliant, Always-on display. Memory: 64/128/256GB Built-in, with 6GB RAM, microSD Card supports up to 400GB. Main: Dual Back Camera 12 MP with special features like 2x optical zoom, OIS, Geo-tagging, simultaneous 4K video and 9MP image recording, touch focus, face/smile detection, Auto HDR, panorama, Video (2160p@60fps, 1080p@240fps, 720p@960fps, HDR, dual-video rec). 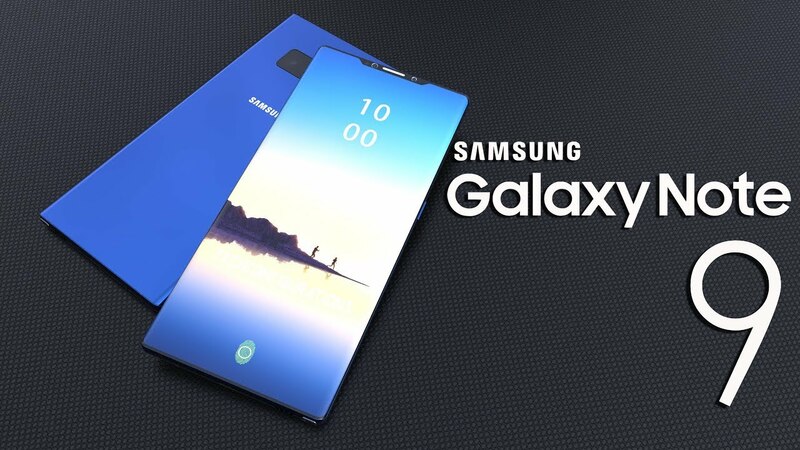 The Launch date of Samsung Galaxy Note 9 Has been delayed due to slight changes in the design of the product.